usability - user interface design for task randomization (online survey tool) - New and Fresh Private + Public Proxies Lists Everyday! Let's say my tool allows you to create a remote usability test (somehow). 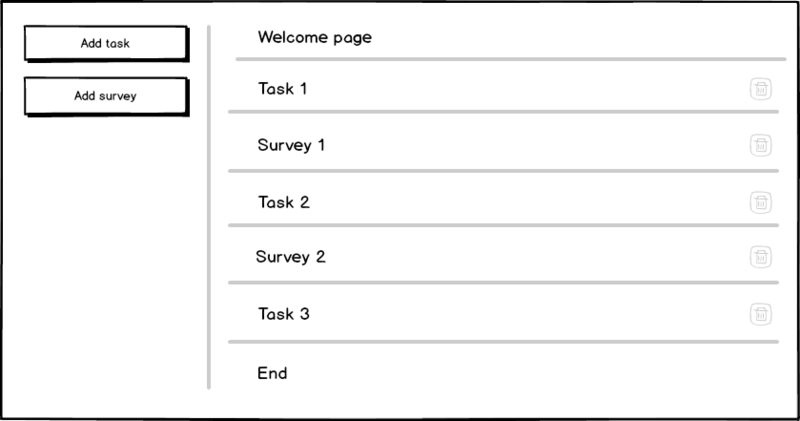 Users need a new feature – the randomization of tasks. When the user designs a project, he can add an inquiry, but this is not mandatory. Do you have an idea of ​​how to design such an interaction? Previous Previous post: 5th dnd – Can disguise of self can be used to condemn an ​​NPC for a murder without the knowledge of the players? Next Next post: Is Windows ideal for launching a website?